Yesterday was so much fun. The kids had an absolute blast!! 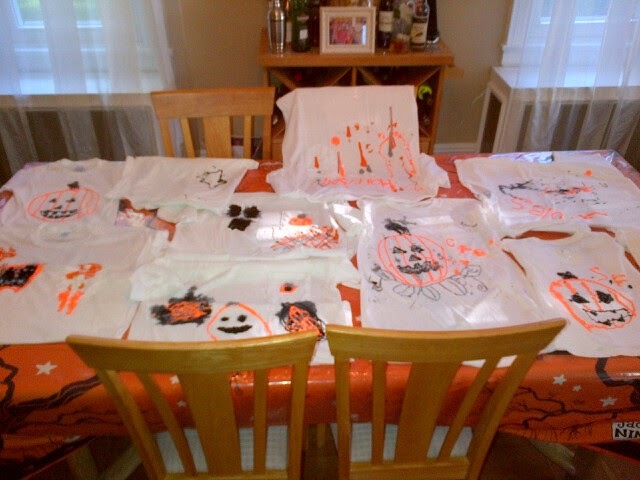 I bought them tshirts and fabric paint and they had fun decorating them for Halloween.